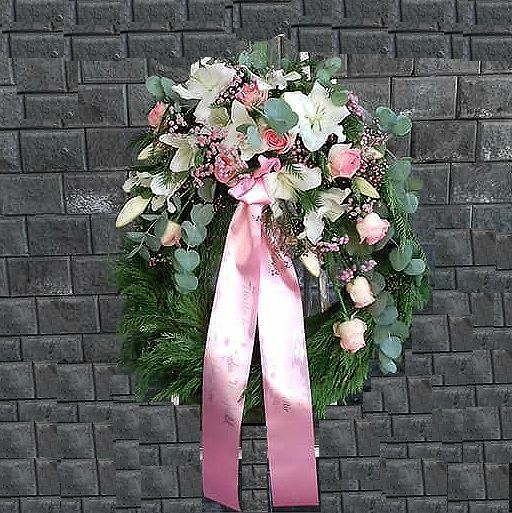 Funeral Wreath with one decoration with white oriental lilies, pink roses, eucalyptus -3 sizes. This elegant wreath conveys your heartfelt sentiments and high regard for your departed loved one. Pink oriental lilies, roses and more.... are arranged among variety of lush greens, forming a wonderful floral design. All of our funeral arrangements are professionally arranged by skilled florists. Displayed on a wire easel. 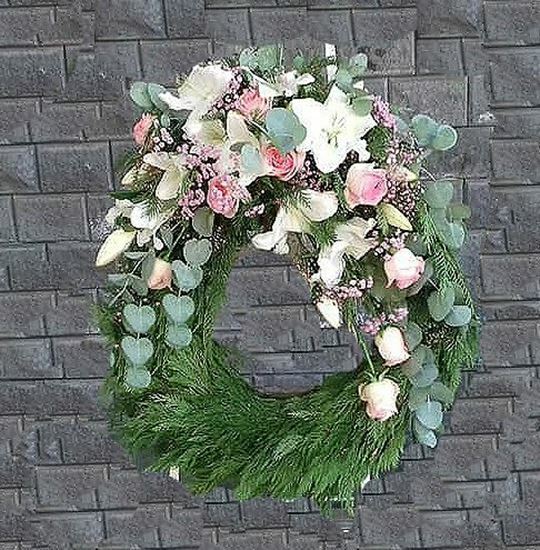 This arrangement is appropriate to send to the funeral home and Churches.